When AMD launched their first generation Ryzen-based APUs with a Zen cores and Vega graphics, both of the new parts entered the market at two very different budget-focused price points. The Ryzen 3 2200G, sitting at $99 for a quad-core CPU with Vega graphics was an amazing feat, and Ryzen 5 2400G coming in at $169 became the new integrated graphics champion. 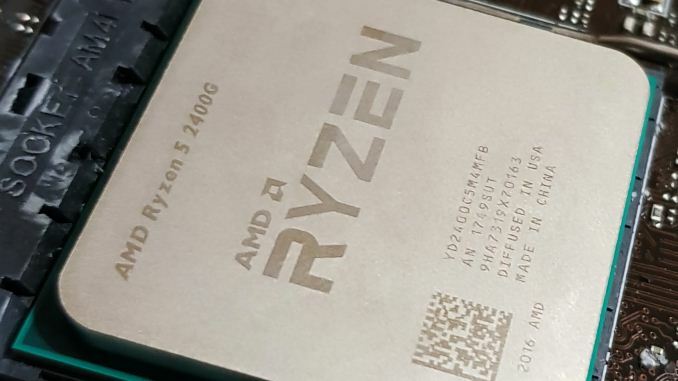 In our run of performance analysis articles, the question being asked today are relatively simple ones: 'how well do the new AMD Ryzen 2000 series APUs scale with core frequency'? We tested our APUs for standard benchmark performance, discrete gaming performance, and integrated graphics performance. The perception when overclocking a CPU, or any other component for that matter, is that the increase in clock speed will directly correlate into better performance. The theory is pretty simple on paper, but the translation between the increase of clock rate and increase in performance can be a somewhat different story depending on the rest of the system or how the program is computed. As a result, a 25% increase in clock speed only really correlates to a 25% jump in performance for the most simple programs, as there are many other limiting factors to consider such as bottlenecks on graphics, memory performance, or stalls in the compute pipeline. In our testing for this article, we aim to go through and evaluate the differences and performance scaling at different frequencies on our APUs. 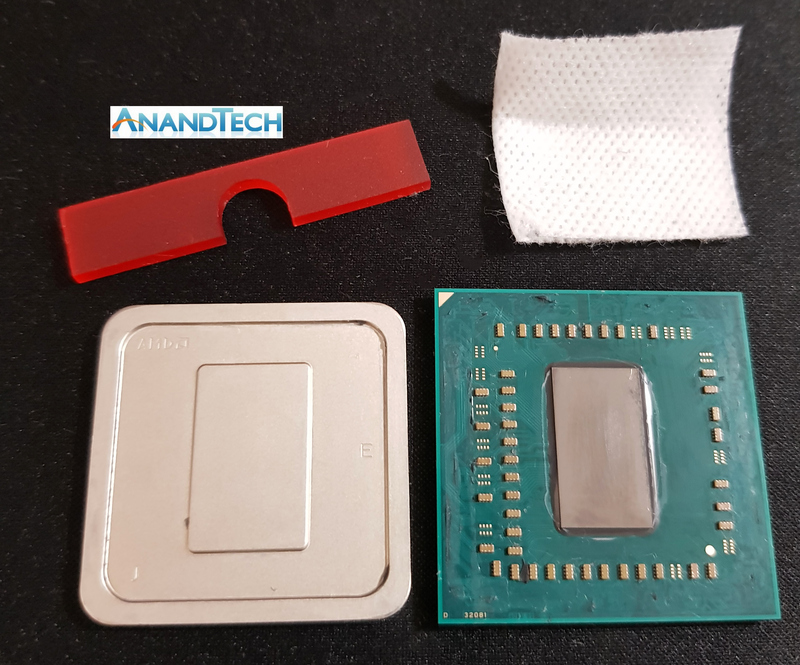 Our previous articles covering the APU performance include a pure overclock analysis, as well as a detailed guide in delidding the processor for extra performance. We have a future article planned on memory performance. For the testing, we took each of our APUs from 3.5 GHz to 4.0 GHz on the core frequency in 100 MHz jumps and performed our testing suite throughout. This correlates to a 14.3% performance jump overall, and matches the frequencies we saw in our overclocking articles. At each point we will compare to see if the performance uplift is even loosely correlated to CPU speed. As per our testing policy, we take a premium category motherboard suitable for the socket, and equip the system with a suitable amount of memory. With this test setup, we are using the BIOS to set the CPU core frequency using the provided straps on the MSI B350I Pro AC motherboard. The memory is set to the maximum supported frequency of DDR4-2933 with CAS latency timings of 18-18-18 within the BIOS to provide consistency throughout the different frequencies tested. We must thank the following companies for kindly providing hardware for our multiple test beds. 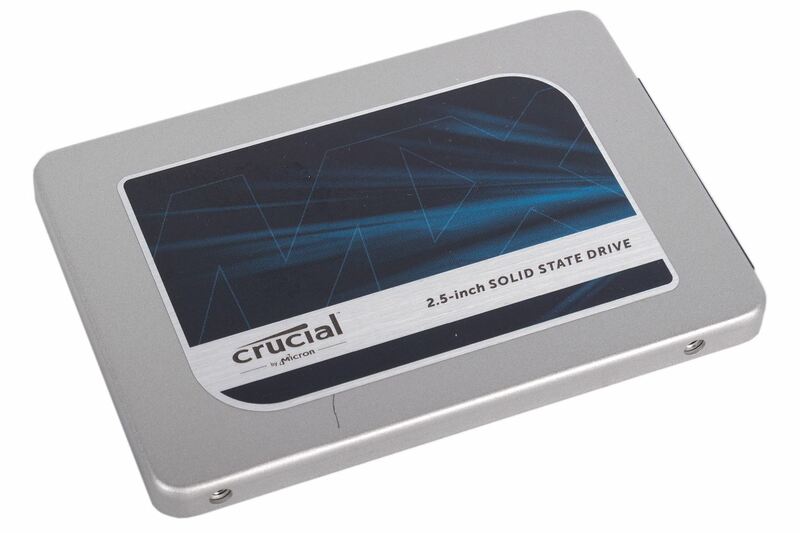 Thank you to Crucial for providing us with MX300 SSDs. Crucial stepped up to the plate as our benchmark list grows larger with newer benchmarks and titles, and the 1TB MX300 units are strong performers. Based on Marvell's 88SS1074 controller and using Micron's 384Gbit 32-layer 3D TLC NAND, these are 7mm high, 2.5-inch drives rated for 92K random read IOPS and 530/510 MB/s sequential read and write speeds. The 1TB models we are using here support TCG Opal 2.0 and IEEE-1667 (eDrive) encryption and have a 360TB rated endurance with a three-year warranty.